Funky Forest is a lush and vibrant ecosystem teeming with trees, colorful creatures and a surging waterfall. Designed by artists Emily Gobeille and Theo Watson, the installation gives children an opportunity to create and manage the forest environment. Trees are created by the movement of bodies and water must be diverted towards the forest to ensure its continued growth. As the trees grow, the diversity of whimsical winged creatures flourish. 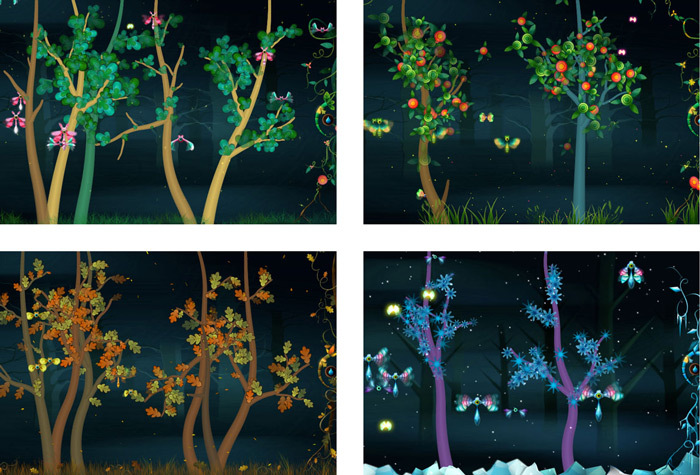 First premiering in 2007 at Amsterdam's Cinekid Children's Festival, a new and ever kaleidoscopic forest was recently installed at the Singapore Art Museum. 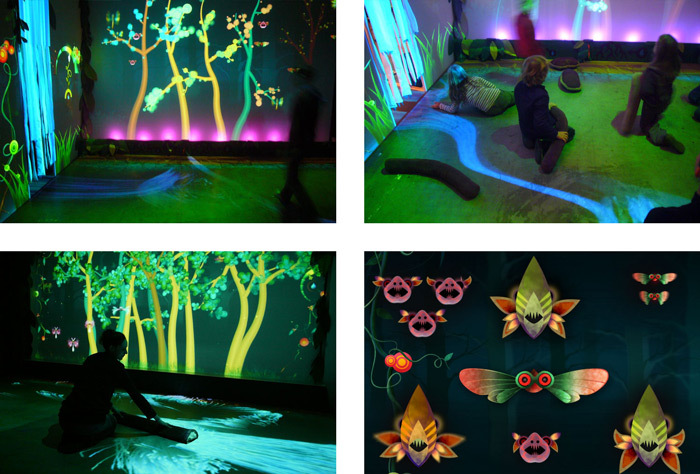 Through their Design I/O studio, Gobeille and Watson have created a suite of highly interactive, delightful and magical experiences.